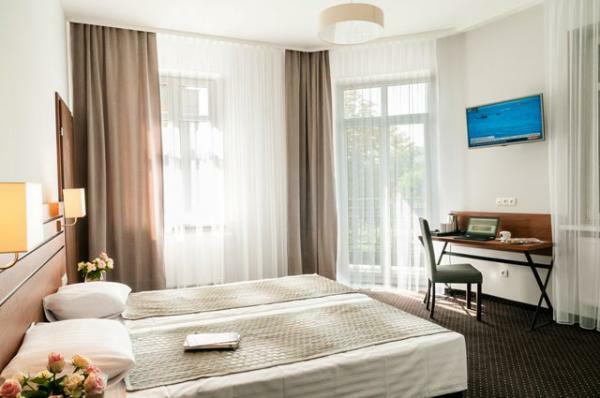 Wilga Hotel is a new, modern three-star venue opened in May 2003, located in Kraków, near the bend of the Vistula river. 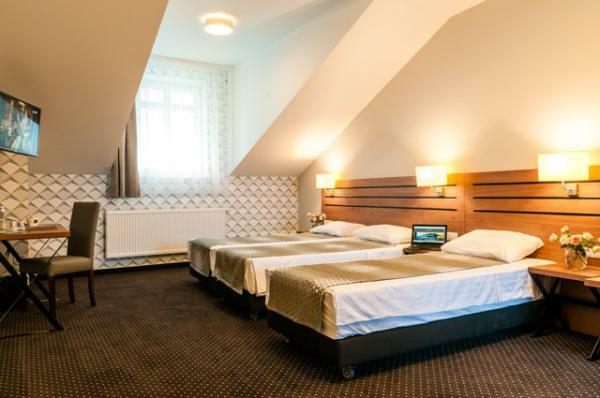 Its excellent location allows our guests to reach fast and comfortably the most important places of interest: the Market Square is just 25 minutes away on foot, and the walk to Kazimierz district takes only 5 minutes. Threre is also a 56 m2 suite with a day room with a kitchenette, a bedroom and large bathroom with modern bathtub. The visitors have at their disposal a bowling alley, the only one in this part of the city. 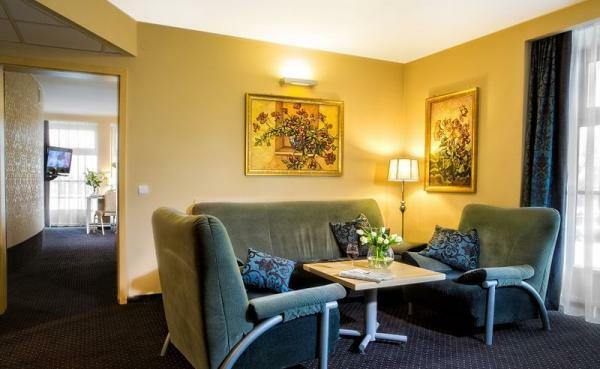 The hotel has a reception room, perfect for social meetings, while our restaurant offers Polish cuisine as well as a selection of international dishes. We also organize occasional events. Car owners can sleep safe in the knowledge that their vehicles are guarded at a car park. 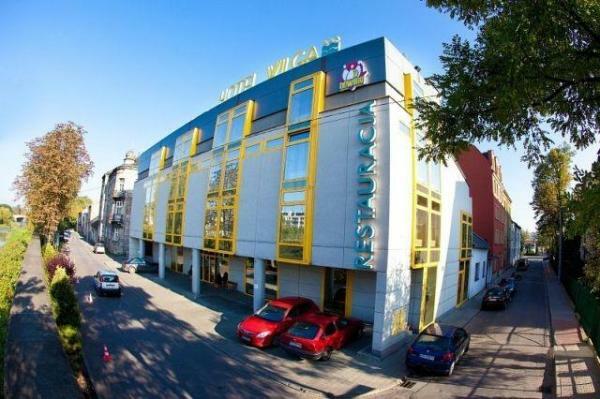 Wilga Restaurant welcomes every day between 12a.m. – 10 p.m.
Buffet breakfast between 7 a.m. and 10.30 a.m. 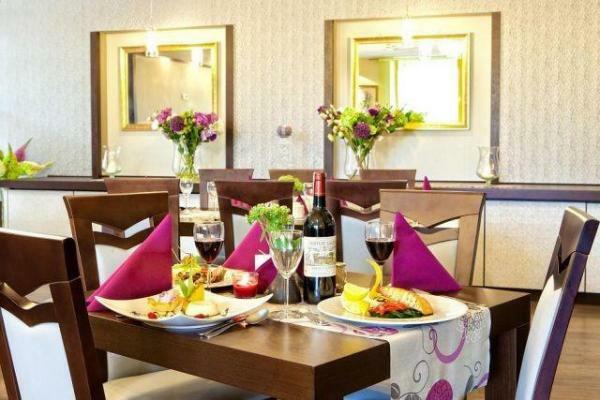 The WILGA RESTAURANT, air conditioned, with tables for 60 guests welcomes to its modern interior arranged in colour palette harmonised with its surroundings, offering Old Polish dishes and international cuisine. While consulting our MENU, try first the appetizers which will tempt you with a pierogi plate as well as Greek and Caesar salads and enjoy them until you reach soups – a wide choice of excellent broths, with Old Polish zhurek, ravioli in garlic bullion or a slightly more sophisticated cappuccino-mushroom cream. Your palate will certainly appreciate the taste of perfectly served fish, including Norwegian salmon in saffron and lemon sauce, as well as sole done according to a number of different, reliable recipes. Finally, time for dessert…. a cup of coffee will make you more comfortable when accompanied with home-made cheesecake or hot cherries…. All the meals served in Wilga Restaurant will be perfectly complemented with our broad choice of wines from South Africa, Chile and sunny Italy. We would like to welcome to our 2 conference facilities. The large conference hall can seat up to 80 people and the small conference room can seat up to 20 people. 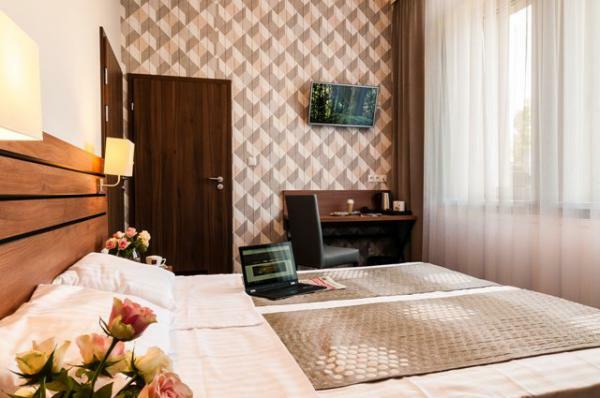 The rooms are equipped with professional equipment such as multimedia projector with a laser pointer, screen, flipchart, video, RTV and a sound system. We provide full conference service offered at request such as coffee breaks, lunches (special lunch/dinner menu ), entertainment in the bowling room (mini-bowling tournaments and integration evenings).